It’s been confirmed that Liam Gallagher will play at the ‘Fall In Love’ festival in Romania. The festival takes place between August 31st and September 1st. 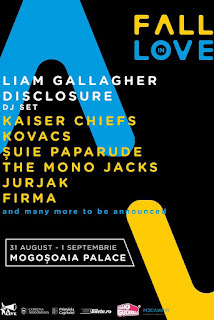 Passes for the Fall in Love Festival 2019 have been put up for sale for the price of RON 129, plus fees on www.bilete.ro and Bilete.ro.